The most recent works of set and costume designer Helmut Stürmer include Ionescu‘s Macbeth at the Royal Shakespeare Company, Goethe‘s Faust in Sibiu, Romania, and Puccini’s Turandot for the Bonn Opera. In 2008 he created the stage and costume designs for the world premiere of Eötvös‘ Love and other Demons at the Glyndebourne Festival. This production, staged by Silviu Purcarete, has since been presented at the Lithuanian National Opera House Vilnius, the Cologne Opera and the Opéra du Rhin Strasbourg. Since 1997 Helmut Stürmer has created a large number of productions together with Silviu Purcarete. Among their most important works are Tchechov‘s Three Sisters at the Théâtre de l’Union, Limoges, Euripides‘ The Bacchae at the Vienna Burgtheater, Aeschylus’ Oresteia at Norske Teatret Oslo, several productions for the Bonn Opera (Rameau’s Castor et Pollux, Satyagraha by Philip Glass, Britten’s A Midsummer Night’s Dream, Lucia di Lammermoor and Yevgeny Onegin), as well as Donizetti’s Roberto Devereux for the Vienna State Opera. In the 2012/13 season Helmut Stürmer designed costumes and sets for two new productions with Silviu Purcarete: The Rachmaninoff operas Francesca da Rimini and Aleko at the Teatro Colòn Buenos Aires and L’Artaserse by Leonardo Vinci at the Opéra National de Lorraine, Nancy. This production was also presented by the Opéra Royal de Versailles in the spring of 2014. Other recent productions include the world premier of Anton Lubchhenko’s Dr. Zhivago in Regensburg and Francesca da Rimini in Nancy. Future engagements include Arminio in Karlsruhe and Love and other Demons in Budapest. Helmut Stürmer was born in Temesvar/Romania and studied at the Nicolae-Grigorescu-Academy of the Arts in Bucharest with Professor Paul Bortnovski. In 1967 he finished his studies with a diploma, and from 1968 to 1977 he worked as stage designer at the Sibiu Theatre and the Teatrul Bulandra in Bucharest. Productions for the theatres of Stuttgart, Frankfurt, Hamburg and Leipzig followed, as well as the Wiener Festwochen, the Vienna Burgtheater, and the opera houses of Basel, Karlsruhe and Nürnberg, where he worked with stage directors such as Andrei Serban, Leander Hausmann and Konstanze Lauterbach. For André Heller‘s Flic Flac project in Vienna he designed the ‘portable’ theatre, as well as the sets. Apart from this prolific output for opera and drama he also created the designs for more than 10 films. Since 1998 Helmut Stürmer has also returned to work again in Romania, where in 2007 he was honoured with an exhibition about his works in Sibiu. 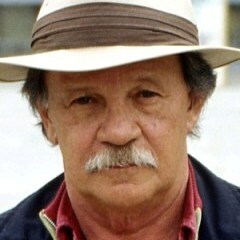 His numerous awards include: 1st Prize of the Romanian Artists’ Association for the best stage design of the year (1974), the Critics’ Prize for the best movie decoration of the year, A Summer in the Country (1975), the Romanian Artists’ Association nomination as Designer of the Year 2004, the prize for the best stage design of the 2005/06 season at the Hungarian Theater Festival Pécs for Shakespeare’s Troilus and Cressida, directed by Silviu Purcarete, and the Romanian Theater Union’s award for the best stage design in 2007/08 for Goethe’s Faust, also directed by Silviu Purcarete.